gives us more time to bay at the moon. We howl our new ideas at the Old Wise Moon. Honor blood ties, yet stand apart. take solitary time to get to the core. 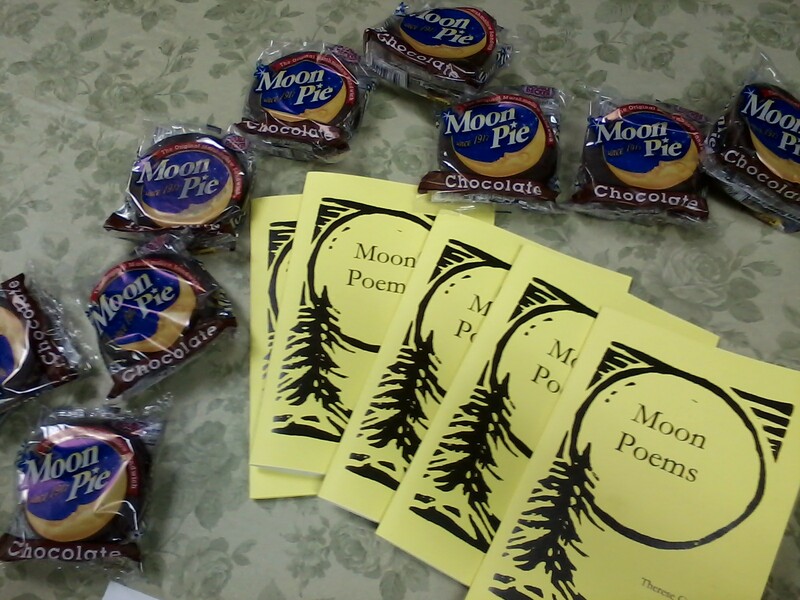 My MOON POEMS chapbook finally came together in December. I wrote the above poem for January 2016. The book is dedicated to the Unitarian Universalist Church drum circle community in Davenport, Iowa, for whom I write these monthly poems. Peace and Light to All in 2017!